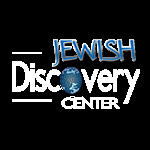 The Jewish Discovery Center is here to ensure that any Jewish individual can have a meaningful and enjoyable Jewish experience while discovering the depth of Judaism. Our work is made possible by our partners who provide the financial means for everything we do. Become a JDC partner today by dedicating a plaque on the JDC partner wall in honor/memory of a loved one or a special occasion. Below is a diagram of the actual wall.